For many, understanding Alcoholics Anonymous can be difficult. Why shouldn’t it be? If you have never experienced the fellowship, it could be mystifying. Take for instance, attempting to explain alcoholism and addiction to someone who has never experienced either, whether themselves or a loved one. It is almost like attempting to teach Chinese to an English speaking person. Almost incomprehensible, many will give up trying to figure it out, or they will go on their way, assuming they are privy to concept of AA, when really they have only scratched the surface of its meaning and purpose. 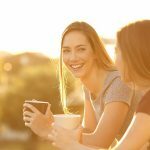 As popular as the term “Alcoholics Anonymous” is in today’s society, the majority really have little to no understanding of how this fellowship actually works. Some believe it’s a religious organization, while others will go as far as believing it’s a cult. Both of these assumptions could not be further from the truth. While the program has a spiritual backbone, religion plays no role in Alcoholics Anonymous. And as for a cult, we have no leader, we are not socially deviant, nor are our beliefs extreme or dangerous. While we once may have put ourselves or the ones we love in harm’s way through our alcoholism and addictive behaviors, we go to Alcoholics Anonymous to no longer behave in that manner. The truth of the matter is, many will judge Alcoholics Anonymous because it is foreign to them. Without experiencing the program firsthand, it is difficult to grasp how an alcoholic can get sober this way. This ignorance, sometimes, is even perpetrated throughout the medical community, which may be understandable to a degree. Physicians study science; they understand science; they look for research. While Alcoholics Anonymous has no biological standing, it has proven effective for a countless bunch. Established in 1935, Alcoholics Anonymous has grown to an estimated 2 million members on an international basis. Currently present in 170 countries, with the book Alcoholics Anonymous selling over 30 million copies, this fellowship has touched and positively impacted the lives of so many. While some individuals come into the fellowship and do not stay, it is evident that this program of recovery has and does work. If it hadn’t, how could it be the longest standing self-help group for 82 years, and the basis for other groups such as Narcotics Anonymous and Gamblers Anonymous? There is obviously something about this abstinence-based program that works. 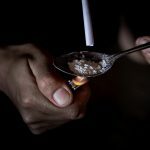 In today’s current standing of recovery, where many in the medical and addictions field want to promote and encourage medication-assisted treatment, it can be easily confusing as to why AA or NA is even necessary. 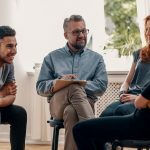 Many will think, “Well I’m on Suboxone or Vivitrol, so why do I need to attend a support group?” Countless times over, these medications fail to live up to their promise, without the necessary work done to address underlying issues, emotional, and spiritual well-being of the individual. Marc Galanter, MD, professor of Psychiatry and Director of the Division of Alcoholism and Drug Abuse at the New York University School of Medicine has recently written and published a book titled, What is Alcoholics Anonymous? His hope is to address misconceptions and provide more insight into Alcoholics Anonymous, within the medical and addictions communities, as well as for the general public. 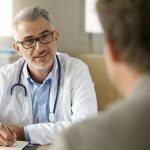 “In many respects, AA is underutilized by the medical community because they understand surprisingly little about it, particularly even specialists in addiction psychiatry and addiction medicine,” says Galanter. Within this book, Galanter focuses on Alcoholics Anonymous in three different sections; AA in the public arena, the AA experience, and AA within the setting of addiction treatment. More in depth, the book digs deep into the origin of Alcoholics Anonymous, while addressing the spiritual (not religious) aspect of the fellowship, and an in depth look into the experience of meetings, sponsorship, and the importance of helping other alcoholics/addicts. Many doctors and professors alike agree Galanter’s work is an ideal tool for positively addressing misconceptions, while utilizing said tool within the treatment of addiction. In short, what is Alcoholics Anonymous and why is it necessary? Those of us who have struggled with alcoholism and addiction and are now active members of a 12-step program, realize that without the fellowship, we would more than likely be drinking…or worse, dead. Many of us come in only after exhausting every other effort to get and stay sober. We have tried to “just stop,” we attempted moderation, many have also tried medication-assisted treatment and geographical changes. Without fail, no other option worked. It wasn’t until we entered into a 12-step fellowship and began a journey of self-identification and establishing a relationship with a Higher Power, that we were able to really have a chance toward recovery. The reality is, some may never understand; some may never care to try. That’s okay. Nevertheless, for those in the medical and addictions field that have little to no understanding of Alcoholics Anonymous, it is most definitely crucial for lasting sobriety. 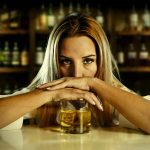 Whether it is a model you agree upon or not, to underutilize it in the alcohol treatment process based on a lack of understanding, is incredibly detrimental to the individual. With that said, if you have difficulty conceiving the idea of an abstinence-based model of recovery or the purpose behind Alcoholics Anonymous, attempt speaking to a member of Alcoholics Anonymous; or, read Dr. Galanter’s book. Either way, you’ll walk away with a better scope of what it is to be a part of this mysterious fellowship so many have come to rely on. Also, you may find, that your misconceptions of alcoholics are just that. We are not religious fanatics or a part of a cult. We are simply men and women who have come together to solve a common problem (alcoholism/addiction), while sharing our experience in hopes of helping the next suffering individual. 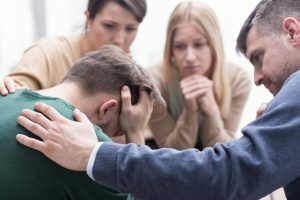 If you or someone you love is struggling with alcoholism or drug addiction, we can help. For more than 40 years, Clearbrook Treatment Centers has been providing effective drug and alcohol treatment to the chemically dependent person. This is done so through the use of various therapies and treatment plans, while incorporating a 12-step model of recovery. 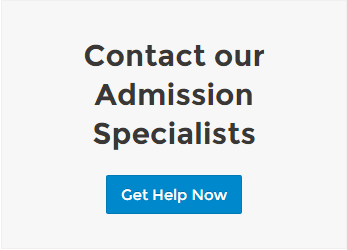 If you are ready to make a change, please contact our Admissions Specialists today.